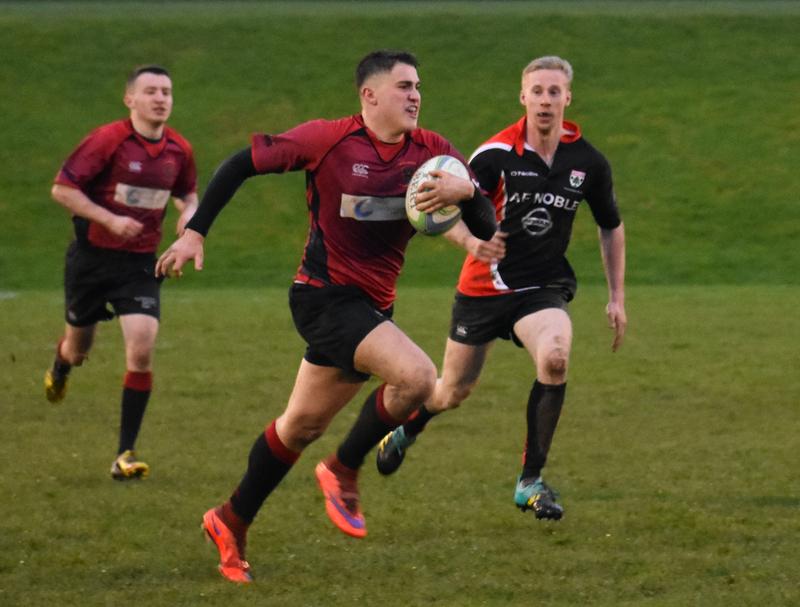 A trip was on to Poltonhall and Lasswade Rugby Club for the Seconds after a long break due to the Autumn Rugby Internationals. The team had 16 players and Neil Dori-Muir kindly offered to take his boots in case of a spate of injuries giving us 17 bodies. It was good to see Murray Smith at stand off and Gregor Aitchison at second row, two players who were having their first game of the season and Charles Ackhurst coming back to rugby after a 17 year break. Its like riding a bike I assured him, you never forget what to do, not sure Charles agreed after the first 10 mins but he settled into his game and performed well. As with many local away games lots of players travel direct only informing the Manager that morning or not at all so he was delighted when the last car appeared at 1.35 with two of the usual culprits on board for a KO at 2.0pm at Lasswade. After a brisk and short warm up the game started well with Drew Sommerville catching the ball and battering his way up field. At the next exchange of play the ball was knocked on and Lasswade were given a scrum. 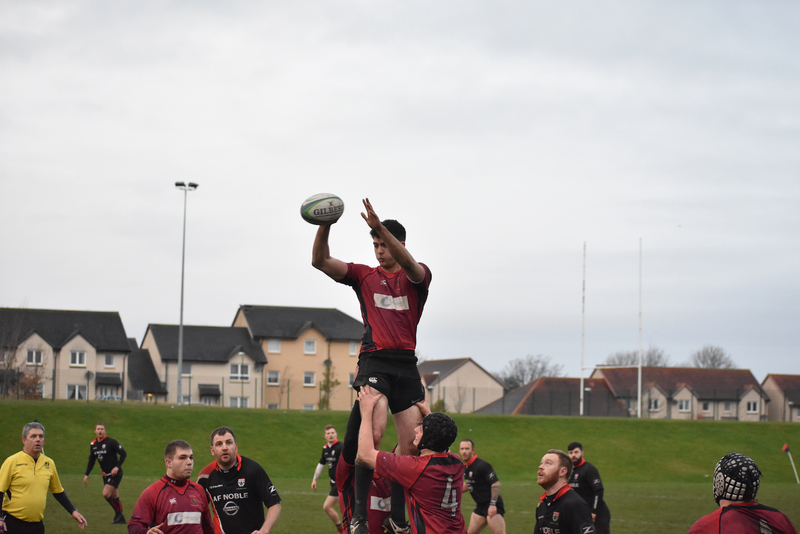 Lasswade won the ball easily and chipped the ball down the park. This was rescued by Kieron Faulds as the last pass was going inside to the Lasswade player. Linlithgow cleared the lines well but Lasswade regained the ball and broke down the blind side with one of their props who barged over. Converted 7-0 to the home team. The game was well contested and both sides were moving back and forward into each others halves without any more scores then Sam Buckley came off, hamstring he said, and on went the “Chess Master” Stu Gordon. Jeff Martin came off at 30mins after turning his ankle on an old injury and Neil Dori-Muir my reserve reserve had to take the field with all the others having to be rearranged. 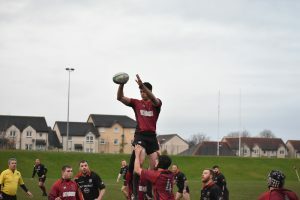 With all enforced player changes this was of greatest benefit to Lasswade but to their credit the Reds defended and tackled manfully and got a penalty before half time which Murray Smith converted. 7-3 at the interval. The Manager was well impressed with the efforts of the first half, urging more of the same in the second half but it seemed the efforts of the first 40 minutes had taken its toll on the 15 remaining players. 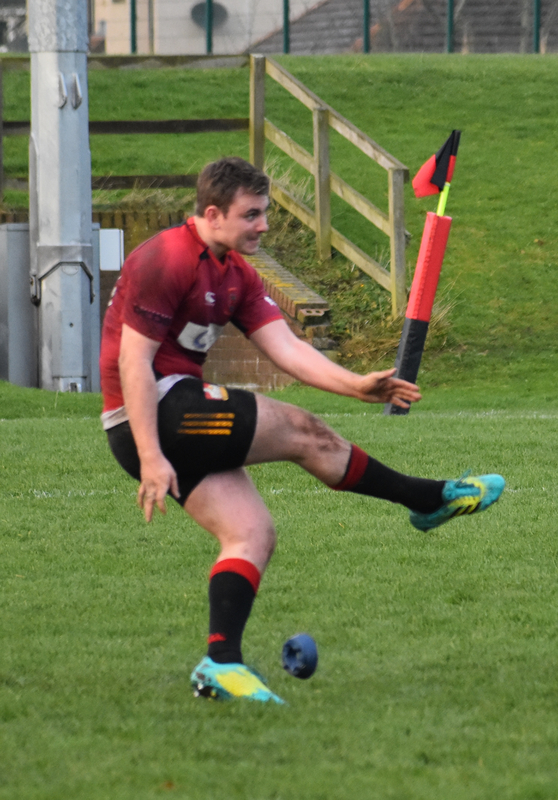 The Lasswade team used their heavy forwards and their 1st XV standoff and centre combination to kick the ball down the park. 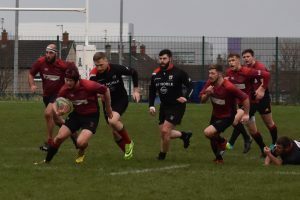 This tactic resulted in them scoring three tries in the second half. 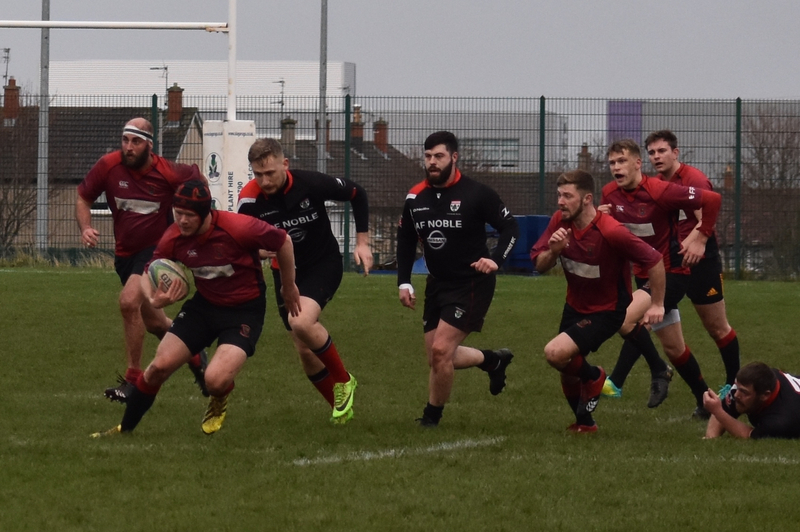 The Reds nearest opportunity to scoring was a startling burst of pace from Neil Dori-Muir on the wing but he was caught inches from the line and denied his moment of Glory. Kieron Faulds came off with 10 mins to go after injuring himself kicking the ball, and Jeff Martin returned to the fray after being strapped up by the Lasswade Physio. Thanks for his help. The Reds finished strongly but didn’t manage to record any other scores. The result stood at 26-3 for Lasswade, a score that flattered the opposition in the Managers opinion. Well done to all that took part. Where were the rest of you when we needed 5 subs?